Pearl, Moonstone and Alexandrite are all birthstones for June. In the UK only Pearl and Alexandrite are used. Pearl: Traditionally white pearls are used for birthstones but many colors are available. Moonstone: Various colors with an opalescent quality. Colors include grey, blue, pink, white, brown and green. Alexandrite: Varieties of green and yellow to blue green. In incandescent light a purplish or light red is seen. Pearl: Innocence, purity, loyalty, modesty and chastity. Moonstone: Soothing and calm of stress, an inner journey, healing for women (Gray color), inner strength. Alexandrite: good luck, inspiration, creative energy and love. June offers a variety of stones for its representation, starting with the pearl. The pearl is the only gemstone which is naturally occurring in a living organism. Many of the pearls used today are raised. Another of this month’s birthstones is the moonstone, which is so named for the moonlike quality of the light they project. Moonstones are a part of the family of gemstones that are known as the feldspars. Feldspars make up about half the earth’s crust, however, the moonstone is only made in certain geological conditions. The last of June’s birthstones is the alexandrite, which is a part of the chrysoberyl family of minerals. This stone is only surpassed in hardness by the diamond. The pearl has a rich and vivid history. In south Asia, they are thought to have been drops of dew that fell from heaven into the sea. In ancient India, they were used by warriors as decorations on their swords to symbolically represent the fallen, and the sorrow brought by war. A pearl called The Wanderer is said to be the most gorgeous of all the pearls which was found by a slave and used to purchase his freedom in the early 1500’s. Moonstones are believed to be sacred, and are displayed with utmost reverence as a bringer of good fortune from the spirit in the stone. Ancient Roman historians believed that the stone itself changed in accordance with the phases of the moon. They also thought it would bring them victory and that the essence of Diana, the goddess of the moon, was within the stones. The alexandrite was named after the Prince regent at the time of its discovery in 1839, and is believed to bring about good luck. In Russia, alexandrite is very popular because of the way it reflects their national colors. Today these three stones are excellent choices to represent the June birthstone, you can even choose two for the Gemini! Black pearls, or Tahitian pearls are the rarest naturally occurring pearl as well as being the hardest to engineer. This is because they can only be nucleated one at a time, and black pearl oysters rarely produce pearls and white pearl oysters only rarely make the black pearl. The rare asterism formation is very valuable in a moonstone and is usually seen in a four spoke star pattern. 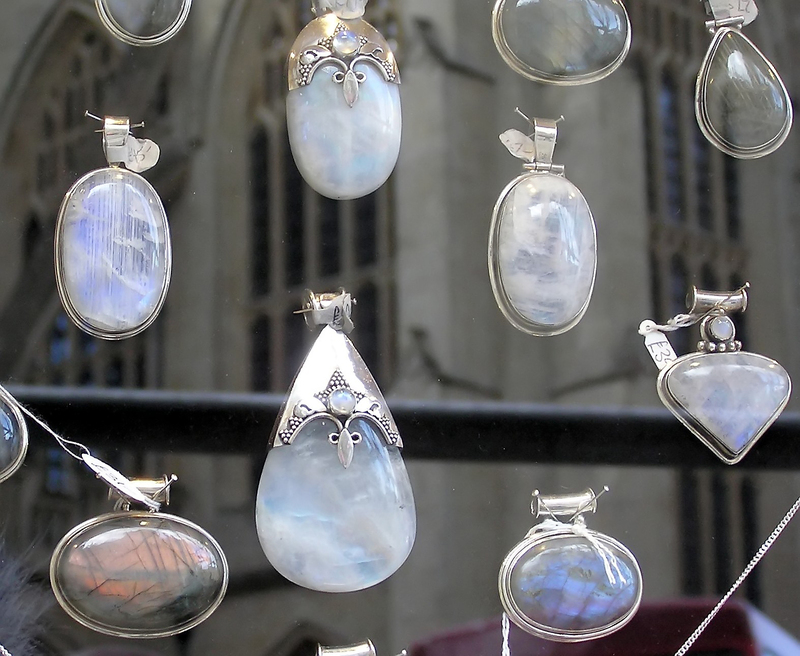 The rarest moonstones are highly translucent. 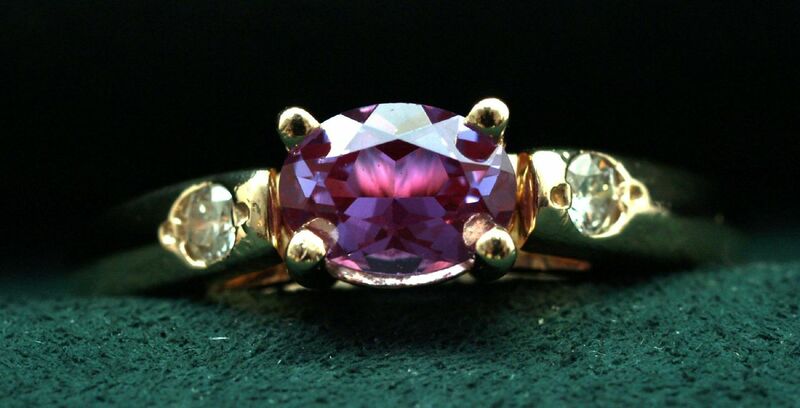 Alexandrite stones that show a very distinct color change like from red to green are highly sought after. 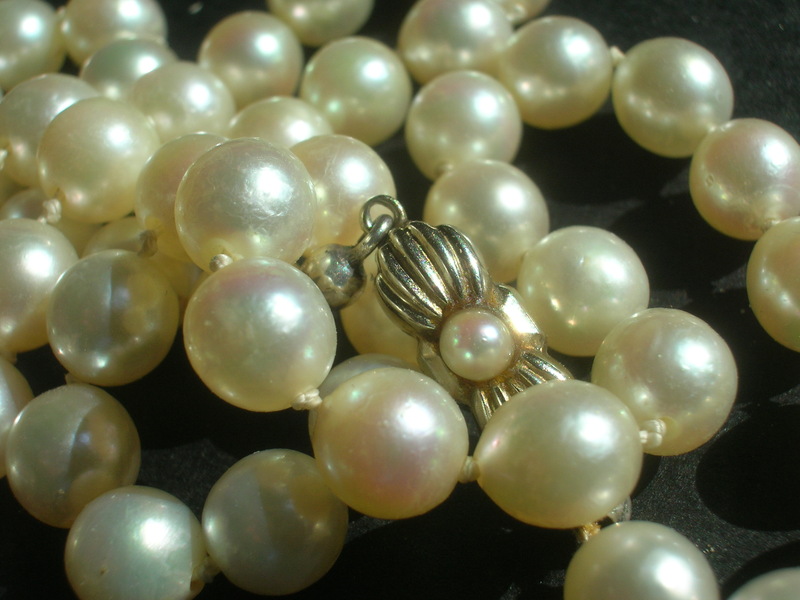 Pearl in english comes from French, ‘perle’, which is derived from Latin, ‘perna’. Perna means leg and is from a resemblance of leg to bivalve. The name ‘Moonstone’ comes from the physical appearance of the stone, by the sheen and optical appearance of this opalescent feldspar. Alexandrite was named after Tsar Alexander II of Russsia. The first stone was said to have been found on his birthday in 1830 and named after him. Pearl is a mineral or an ‘organic gem’ with the principal formula CaCO3. Pearl has a fairly low hardness at 3 on Mohs scale (Diamond is 10). Pearls are available in a variety of colors including white, pink, cream, silver, brown, blue, green, black and yellow. Pearls have a orthorhombic crystal system with a reniform habit. They have a pearly lustre, a white streak and an opaque transparency. Moonstone is a type of feldspar from the silicate group with typical formula (Na,K)AlSi3O8 .Orthoclase and anorthoclase are examples of opalescent varieties feldspars which exhibit a blue to white sheen known formally as ‘schiller’. Schiller is a German word which translates roughly to having an iridescent or metallic lustre. Moonstones have a hardness of 6 – 6.5 on Mohs scale. Alexandrite is a type of gem quality chrysoberyl that exhibits a particular color change habit from green to red depending on the lighting. The alexandrite variety of chrysoberyl exists due to having a high proportion of chromium ions in its structure, replacing some of the natural aluminium. Chrysoberyl is an oxide mineral with chemical formula BeAl2O4. It has an orthorhombic crystal system and a tabular and short prismatic crystal habit. It has a hardness of 8.5 on Mohs scale, which makes it very hard, only behind diamond and corundum. It has a vitreous lustre and a colorless or white streak. Pearls are always natural, though these days they are often raised and hand fed to the desired size in fresh and saltwater farms. Alexandrite has a synthetic match, and they are usually corundum laced or made with color change spinel and not chrysoberyl. Moonstone has not yet entered the synthetic market.